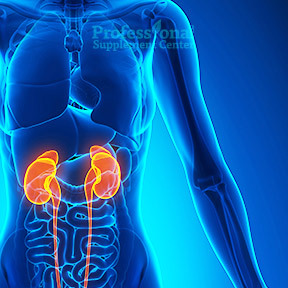 How much do you know about the importance of kidney health and function? Unless, you already know you have kidney issues, the health of your kidneys is probably not at the top of the list of things you regularly think about. Every day, your hard working kidneys filter 200 liters of blood and release cleansed blood back into the blood supply, while filtering out and eliminating toxins. Healthy kidney function is essential to overall wellness, as these highly active organs are responsible for many life sustaining tasks, including mineral and fluid balance, blood pressure regulation, bone health support, hormone regulation, red blood cell formation and waste elimination. Diseased and damaged kidneys negatively affect not only kidney function but over time can cause other serious health problems, such as cardiovascular disease, heart attacks, stroke, anemia and high blood pressure. According to the National Kidney Foundation, over 26 million Americans have chronic kidney disease (CKD) and 1 in 3 Americans are at risk for developing CKD, which often has no symptoms and can go undetected until very advanced stages. Like other chronic diseases, CKD is on the rise. This is largely due to the prevalence of diabetes and hypertension, which can damage the delicate kidney blood vessels and lead to kidney failure. While diabetes is the leading cause of CKD and high blood pressure a close second, additional risk factors for developing CKD include genetics, a family member who has kidney disease, diabetes or high blood pressure, aging and race, including African Americans, Hispanics, native Americans and indigenous Alaskans. Control blood pressure, blood sugar and cholesterol- Uncontrolled blood sugar levels accelerate kidney function loss. High cholesterol levels means increased risk for cardiovascular disease. High blood pressure can damage, stretch and weaken all blood vessels, including those found in the kidneys. Maintain proper weight or lose weight if needed – Obesity increases the risk of diabetes, hypertension, kidney disease and heart disease. Follow a nutritious diet – Proper nutrition is key to good mental and physical health. The DASH diet, designed to control blood pressure, is often recommended in early stage kidney disease. Many chronic diseases, including diabetes and high blood pressure, are preventable with good nutrition. Get regular daily exercise – Exercise helps manage weight, keeps stress levels down and reduces risk factors for heart disease, diabetes and kidney disease. Hydrate with plenty of water- Kidneys need water to function properly. If your urine is straw-colored, your body is well hydrated. If it’s darker yellow, drink up! Take all medicines as prescribed and avoid excessive over the counter pain medicine- Most of us don’t think twice before popping a pill for minor aches and pains, but overuse or long term use of medications, even OTC medications, can cause acute kidney damage or lead to the progression of kidney disease. Watch salt and unhealthy fat intake – Diets high in sodium can increase blood pressure levels. Eat healthy fats from olive oil, nuts and avocado and avoid refined oils and hydrogenated fats. Don’t smoke – Smoking slows blood flow to the kidneys, reducing optimal function and increasing the risks of strokes and heart attacks. Limit alcohol consumption – Excessive alcohol consumption can affect the ability of the kidneys to filter blood and can negatively affect blood pressure and fluid balance. Know your vitamin levels – Low levels of vitamin C, vitamin D and B vitamins are often seen in early stages of CKD. PGX® Daily by Bioclinic Naturals – As a highly purified fiber complex, this product is designed to support healthy glucose and cholesterol levels already within the normal range. This clinically studied, safe and effective proprietary formula contains 3 viscous natural fibers, which help to reduce appetite, ease food cravings, reduce overall cholesterol and normalize blood sugar levels. Dairy, gluten and yeast free formulation. Ultra Glucose Control™ Vanilla by Metagenics – This medical food is formulated for the nutritional management of the glucose response and is designed for those who may need additional support controlling their blood sugar levels. The formula contains a balanced ratio of carbohydrates, protein, fat and fiber in support of a healthy insulin response. Gluten free, Non-GMO formulation. Policosanol + Gugulipid by Designs for Health – This unique combination of synergistic nutrients has been traditionally used in Ayurvedic medicine for centuries for its ability to naturally support healthy cholesterol levels and triglycerides. Gluten, soy and dairy free, Non-GMO formulation. Kidney Support, Q. by Quantum Nutrition Labs – This quantum-state, broad-spectrum formula is designed to offer effective support for detoxification and optimal kidney health. Contains herbs, phytonutrients, mushrooms and organic greens in a highly bioavailable, non-toxic formulation. Vegetable capsule. No additional ingredients. CLA by Ortho Molecular – Conjugated Linoleic Acid supports reduced body fat and increased muscle mass when combined with a healthy diet and exercise. CLA helps to speed fat metabolism as well as aid in metabolizing fat deposits. Gluten and soy free formulation. This entry was posted in Home and tagged CLA by Ortho Molecular, Kidney Support, PGX Daily by Bioclinic Naturals, Policosanol + Gugulipid by Designs for Health, Q. by Quantum Nutrition Labs, Ultra Glucose Control™ Vanilla by Metagenics. Bookmark the permalink.